Hello to all the new folks, and rehello to all the old timers here! 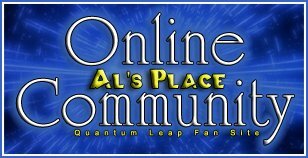 I used to be a very active member of this forum, even traveling to L.A. for the convention in 2009. Then things happened, I changed careers, and stuff I used to do (like being active here) kinda went by the wayside. Long story short, one day I fell down the rabbit hole that is Tumblr, and that led me to rediscover this site. After much gnashing of teeth, I finally remembered my password, so here I am. Thank you, feldon30, for assisting with the name change. I just received my new Mill Creek DVD set this week, so I hope to fire up the episode ratings threads as I rediscover the series this autumn and winter.